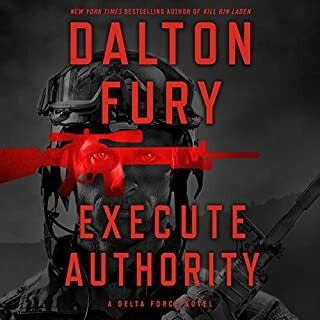 In Dalton Fury's Execute Authority, Kolt "Racer" Raynor and his Delta Force squadron are in Greece, providing VIP security for the newly elected - and deeply controversial - American president on his desperate mission to hold the NATO alliance together. Then, the unimaginable happens. Just as the president is arriving, an assassin's bullet takes the life of the Greek prime minister. The president is safe, but Raynor recognizes the killer - Rasim Miric - by his grisly signature: a bullet through his target's left eye. 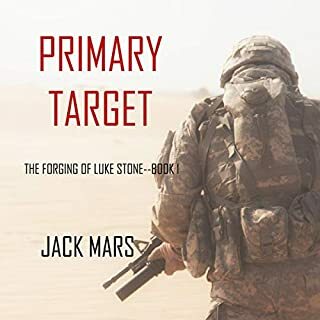 In this enthralling new novel in the best-selling Kyle Swanson sniper series, an American warrior is called to redeem a debt of honor in Somalia amid haunting personal nightmares. Top-ranked sniper Kyle Swanson was a promising young marine on a dangerous peace-keeping mission in Mogadishu when he first captured "the Cobra", and a lifelong blood feud began. Twenty years later Kyle works for the CIA while the Cobra emerges from prison to become an efficient killing machine, and he has never slackened his hatred for Swanson. 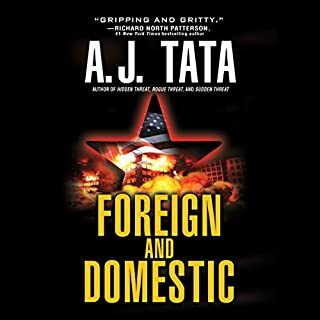 To draw out his ultimate target, the Cobra launches a violent campaign against the United States and attacks the second-largest shopping mall in America. 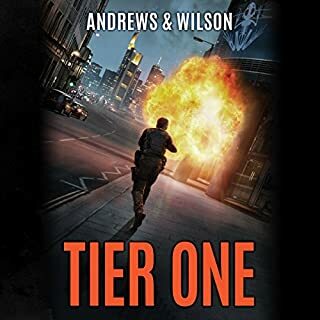 Kyle teams with FBI agent Lucky Sharif, whom Swanson had saved as a child in Somalia, and they must fight through terrorists at home and abroad to stop his old enemy. The Cobra retreats to Somalia, where he is set to become a powerful warlord and leader of the bloody al Shabaab terror gang. To block him, Swanson must return to the daunting streets of Mogadishu, where he must face his personal nightmares as well as the Cobra, who lies in wait. Kyle Swanson joins the CIA! Metal of Honor recipient Kyle Swanson was no ordinary US Marine. In the past he has operated as an assassin reporting directly to the US president. Now the Marines believe he is too old and out of control of the Marine brass to stay, so is retired and assigned to the CIA. The adventure starts years ago in Somalia where a Muslim terrorist nicknamed Cobra killed Swanson's fiance in his presence. The book goes to the present where Swanson and a young FBI named Lucky, who Swanson had brought as a boy to the US from Somalia along with his grandmother after his grandfather was murdered by Cobra, deal with a major terrorist incident led by Cobra. Swanson and Lucky then go back to Somalia to remove Cobra for good. Some aspects of this novel are not realistic, but is a great action thriller. The book is well narrated. For readers of the Kyle Swanson series this is till a good book, and I enjoyed being with Kyle again. Both for the first half of the book during the story of him as a young marine and for the second half during present-day action. However, for series loyalists, there are quite a few discrepancies and detours from the previous tales. This book makes liberal changes to where the last left off and the context the last set up. While I'm glad I stuck it out and am happy with the conclusion of this book, I found myself upset and disappointed throughout the reading because of the changes. 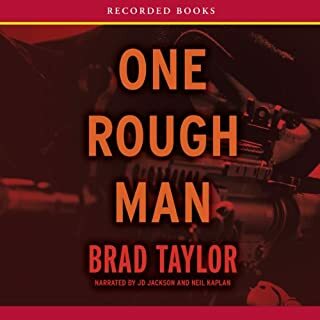 I very much enjoyed how this series was different from others in the genre (Pike Logan, Mitch Rapp, Scot Harvath, etc) so I am disappointed that it seems to have swung into the path of sameness those share. The present day component of this book and what it has laid out for subsequent installments is much more formulaic. I'm sorry to see the author go that route. Luckily, Kyle is a likable protagonist and there is enough retained from the first 8 or so books that I will continue to follow him. I probably always will hope that Mr. Coughlin returns Kyle to the surroundings and systems that made me love this series in the beginning. The first part of this book is it's strength. The second half is merely good in part because of the 20+ year revenge and somewhat rushed feel. Together they are 4 stars and not 5. I love this series and Gunnery Swanson. Swanson is a very likable character, the stories (first 1/2 and second 1/2 are 2 stories tied together by past events) are filled with the right amount of detail and action. 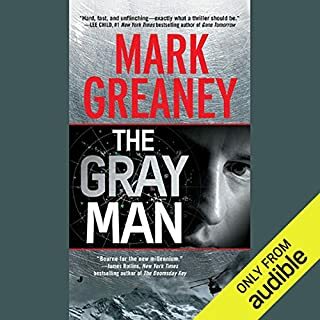 I am hoping Audible is able to get the remaining books into audio format so that I can listen to them too on my drive. Holy Crap! This rivals the Mitch Rapp series. This is the best in the series so far. I cant stop listening. I have about 1 hour left and I've been on the edge of my seat for almost the whole time. This is by far my favorite series of novels in this genre. I still miss Vince Flynn, though. 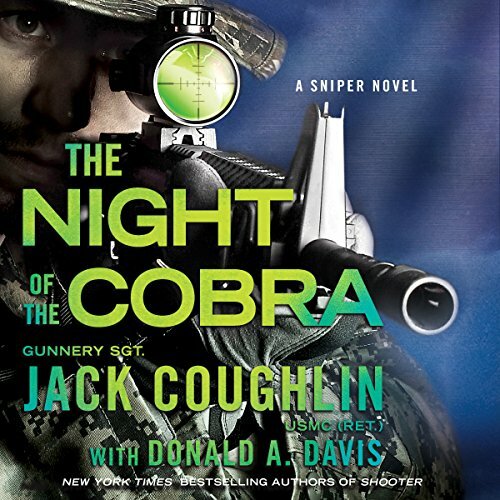 Would you consider the audio edition of Night of the Cobra to be better than the print version? This story delt with different locations in the world, and the domestic terror makes you hope our military and law enforcement is properly repaired. Enemies foreign and domestic...what's wrong with our reps? this book was okay. it had its moments but it just seemed a little stiff and predictable. The narrator with the voices of the different characters came off as cheesy. the range of voices was not different enough to really identify with the characters. it was a decent storyline but I think it could have been better had the narration been better. High energy, lots of excitement, and most of all tons of killing! It ties in all the books so far.